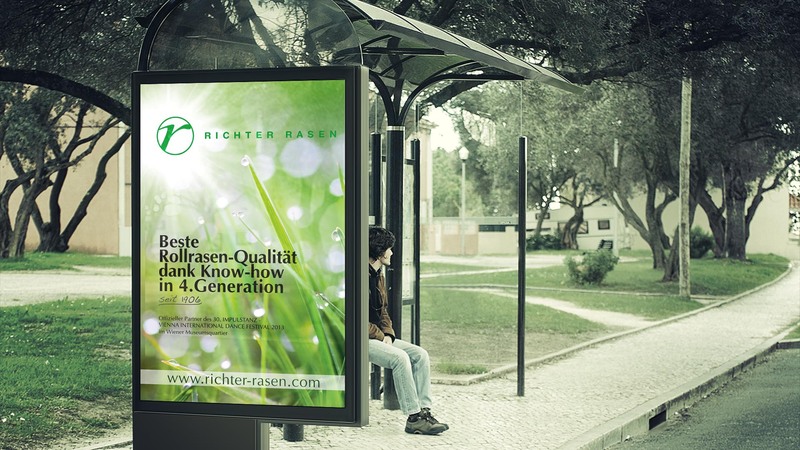 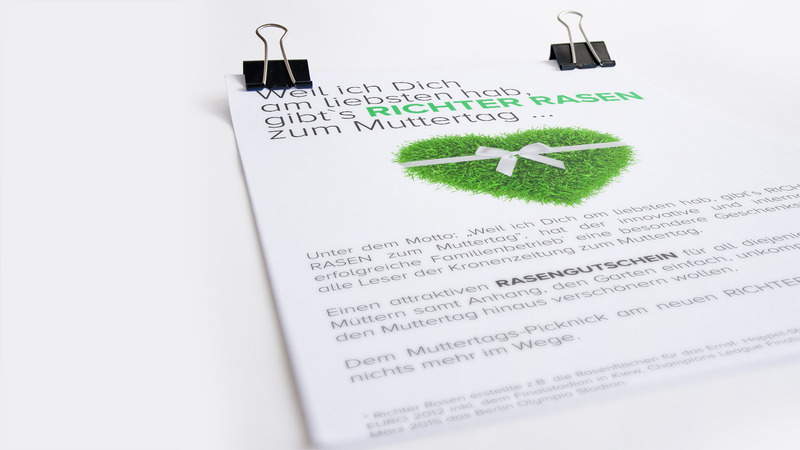 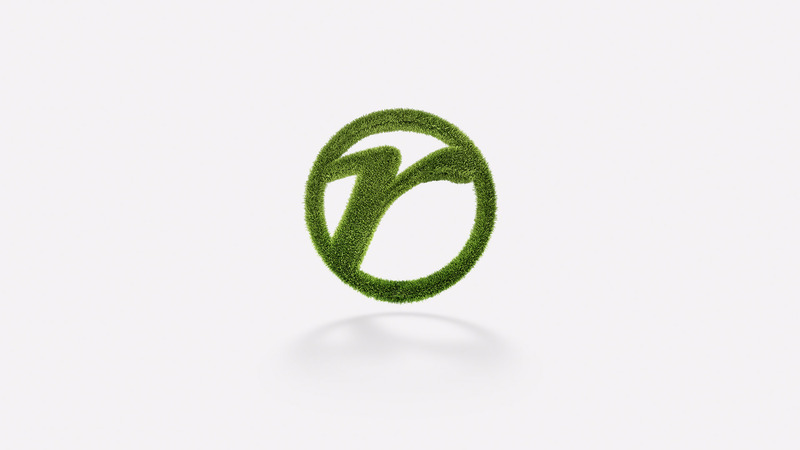 Founded back in 1906, Richter Rasen is one of the leading companies of rolled lawn across Europe, providing the lawn for the FIFA Championsleague Final 2015 in Berlin. 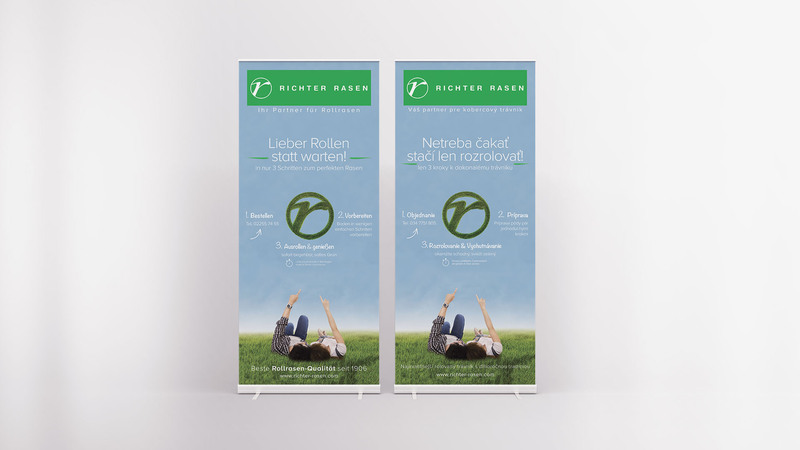 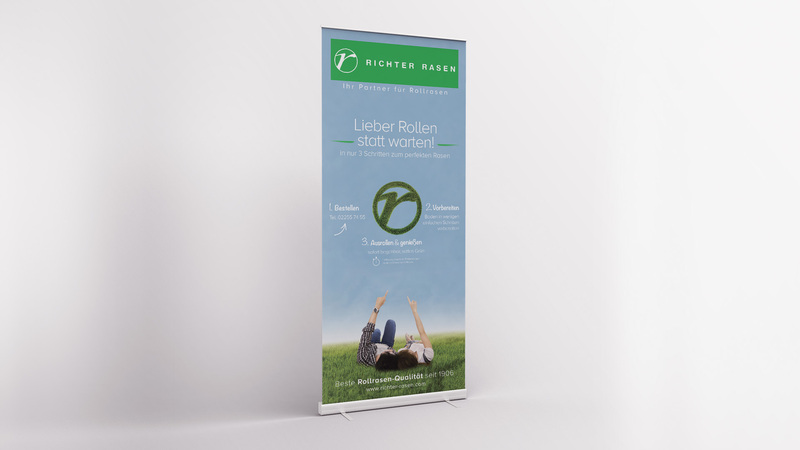 Task: Conception, creation, design and production of a 180cm tall stand-up display for positioning in hardware stores across Austria. 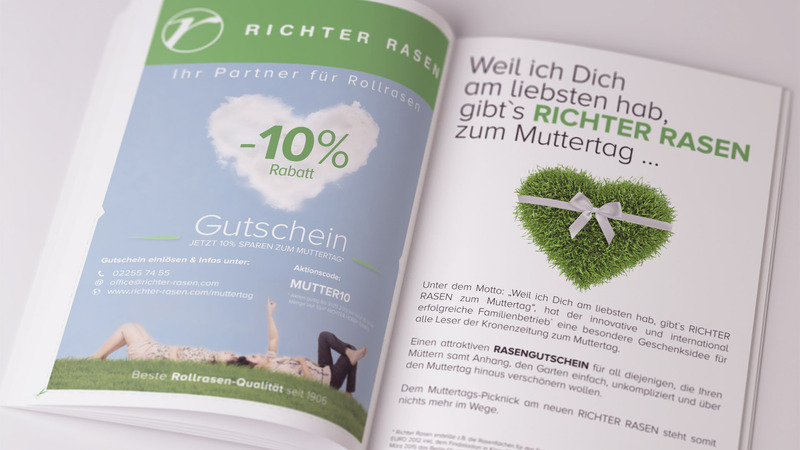 Additionally a special print ad was created for mother´s day.